Let’s face it, even if you love your job, there are bound to be days where you just don’t feel very confident at it. Perhaps someone gave you a negative comment, your kids keep interrupting (if you work from home! ), or it’s just ‘one of those days’. No matter the reason, low confidence at work can really impact on your overall wellbeing and stress levels. Some people spend more time at their job then they do anywhere else, so feeling confident in the workplace is incredibly important! 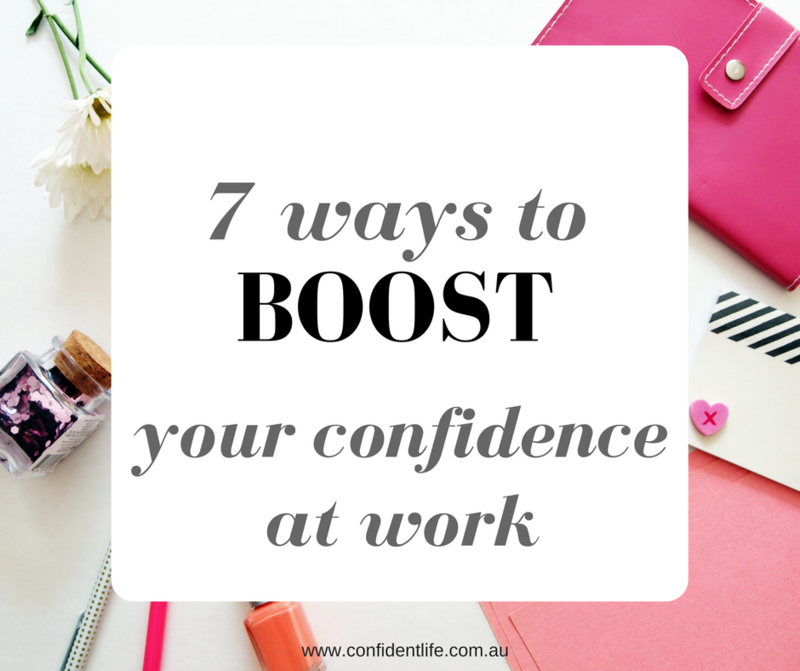 Here are 7 quick ways to boost your confidence during the work day. This TED talk by Amy Cuddy went viral a few years ago, showing the fascinating research behind body language. The basic idea is that “power posing” — standing in a posture of confidence, even when we don’t feel confident — can affect testosterone and cortisol levels in the brain, making us feel more confident and powerful. Power posing is simple. Stand or sit in an open, confident manner for a few minutes. Examples include the ‘Wonder Woman’ pose, hands behind head with feet up, anything that exudes power and openness. Hold the pose for a few minutes each day, particularly before a stressful or important situation. If you are feeling down, stressed, or unappreciated at work, take a few minutes to write down what strengths you do have. Trust me, EVERYONE has things about themselves that they should be proud of, that they excel at, that makes them a great person and employee. -what do I do well at work? -how would people describe me? -which types of things do I get compliments on? -what am I proud of at the end of the day? Mindfulness can have great benefits for improving mental health, lowering stress levels and producing positive emotions. Regular mindfulness meditation activates areas of the brain involved in emotional regulation, as well as stimulating the brain’s relaxation response. Taking 5 minutes out of your work day to meditate can improve your confidence by producing positive emotions, and increasing compassion to others and yourself. You can use an app like Smiling Mind or Headspace, which have mindfulness recordings that are 5-10 minutes long. Take a few minutes break, pop in your headphone, and get meditating! This serves several purposes; a break from the desk, some fresh air to clear the mind, and gratitude to increase positive emotions and wellbeing. Expressing gratitude light up parts of the brain that make you feel good, and these effects are actually quite long-lasting and have a self-perpetuating cycle. This means that the more gratitude you practice, the more attuned you are to things to be grateful for, and the more benefit you find from it. While walking, breathe in the fresh air and ask yourself what are 3 things that you are really grateful for. Visualisation can be a great tool for lowering stress levels, setting goals, and triggering the relaxation response in the brain. 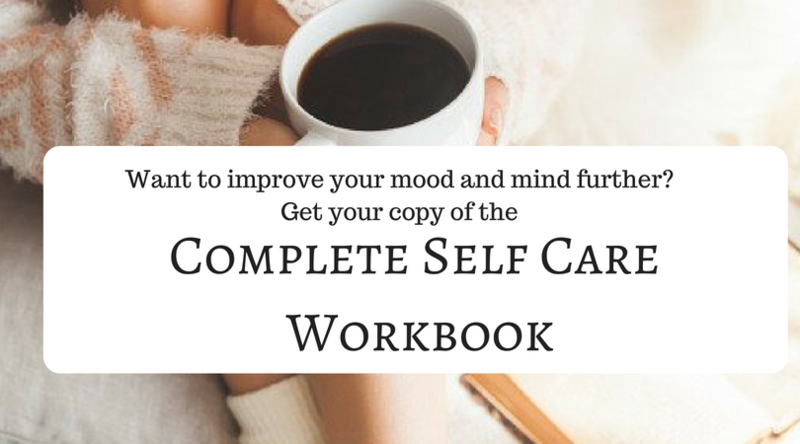 It can also boost confidence by helping you feel a sense of accomplishment and focusing on the positive rather than the stress in your work day. The trick to visualisation is to be as specific as possible, use the 5 senses when imagining your future situation, and imagine yourself achieving the outcome you want. So take a few minutes to think of a goal you really want to achieve. e.g. completing a task, getting an award, receiving praise for your work, figuring out a difficult job. Use the 5 sense to get as much detail as possible (what do I feel, see, hear in this event), and really try to imagine what that feels like. Self-affirmations or mantras are positive statements that can help you develop a more positive idea of yourself and your self worth. If you find yourself spending your whole work day in a negative mindset, you definitely want to practice this. Pick a present focused, positive, empowering statement e.g. “I am successful” “I am creative” “I have skills I can offer other people”. Repeat it to yourself several times, really feeling the statement. Better yet, make a positive mantra your work screensaver! That way you can see it all throughout the day. If all else fails, remember the power of Beyonce. Seriously, if you are feeling down at work, take a few minutes to pop in your headphones and listen to your favourite empowering anthem. Tell yourself that you are a GODDESS and you are hustling to make it all work. One more thing: If you find that even with all of these tips you are still struggling to feel confident at work, perhaps it is time to have a frank conversation with your boss. Every job has its ups and downs, but perhaps there is something that can be done to help you feel more acknowledged and valued in your workplace. I’m afraid I doubt myself far too easily. I find people rarely tell you you’re doing a good job, so I assume the opposite. It’s a very bad habit! This happens so much, where a lack of positive feedback is interpreted as negative. But often people just don’t think to praise or think each other! I believe that it is funny how employers are not held to standards as employees are. A thank you for a job well done, or a compliment on the way a situation was handled goes a long way. There seems to be a lack of employers that really give any kind of credit for jobs well done, therefore employees feel unappreciated and are not afraid to move on to another company that does see value and worth. This only retards business growth as employees are continually changing and there is no company loyalty. If you see a unsuccessful company you will see high employee turn over and lack of value of the employees on the behalf of the employer. Absolutely. I think we often forget that adults needs praise, encouragement, and acknowledgement too. Research has shown that this has a lot more success for turnover compared to monetary rewards. Yes! I believe that too. People who are grateful for their life and themselves just ooze more confidence. The power pose definitely works – as does dressing for success! If I am lacking confidence about something in my work, I find the best thing to do is just get started on it. It’s usually not as bad as I thought! Yes, dressing the part is a great suggestion! I find my confidence rises when I am dressed well and feel great. Great tips. I think I need the opposite though. I always come across as overly confident which can be off putting. I have had trouble with this in the past as well (the old ‘bossy’ word gets thrown around), but I don’t think you should ever dull down your confidence. I wonder if a man would have the same concern/thoughts? I really love this, thank you for sharing it! Always a fan of the power of music. I had a giggle over the power pose after watching the last episode of Offspring. Billie was power posing her heart out. Haha, I don’t watch Offspring but I will try to find that scene! Well timed post! As much as I love my new job, one side of it is local government and it is killing me. I’ve worked there before so I know what I was in for. I struggle with the lack of team work and appreciation from management. I do like to give 110% and go above and beyond but if it’s not even noted, you do start to wonder what the hell??! I will try to ignore it, keep smiling, go for walk as you mentioned and play some great music. Wonder Woman pose comes naturally lol!! You can only go so far using your own confidence strategies, we also have a deep need to be recognised and acknowledged for our hard work. May be time for a chat with management about it? Great tips Jess. I always encourage my clients in business to tell their story, why they do what they do. Telling their story empowers them to remember and confidently reflect on why they are doing the amazing things they’re doing. Love this so much! I am reading Cuddy’s book right now too. Thanks Sonia, it really does apply to all areas. Great tips! It’s so important to have confidence in the workplace. I would also like to add not being afraid to own your accomplishments and toot your own horn from time to time. That is one I sometimes struggle with! Yes, great point! Often waiting for someone to acknowledge your success can be demoralising so start celebrating them yourself! This is really good advice. I had lost much of my confidence in recent times due to a few challenging life transitions but I certainly remember how to build it again. I use gratitude, dressing for success (even if it is a visit I am not looking forward to), meditation and so on. Thanks for the great reminders! That clip about power poses is terrific. These tips are great and just what I needed to hear after a difficult work week. Thank you!